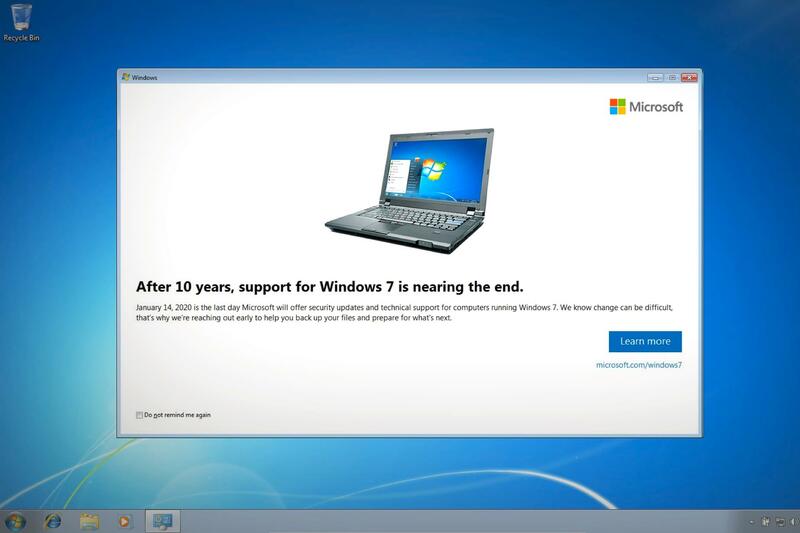 With nine months to go until Windows 7 support ends, I think the notifications are a bit premature. I also expect that when you select not to show the notice again, it'll only hold true until Microsoft puts out a new update. Eventually, they'll probably bundle the notice within a security update, as January 2020 draws closer. It'll be annoying for many. We still have a couple of customers running Windows XP. With Sandboxie installed, they've learned that when a nasty thing takes over the sandboxed web browser, to simply hard shut down the computer and reboot. It's clean again. Sandboxie's sandboxed browser will continue to work on Windows 7 also. It just has to be used every time one browses the web to keep it clean. Premature? Regular everyday people may not have the money to just up and go get a new PC at the end of the year. Questioning a do not show again box? Never mind...you're just another person looking to make anything Microsoft does into something negative. ProJacob and m4a4 like this. Given that the person can still use the PC after Microsoft stops issuing security patches, I don't see your point. They aren't forced to buy a whole new PC as you seem to suggest and someone who can't afford that likely won't care that their PC won't have the latest security patches. EClyde and wiyosaya like this. ...you're just another person looking to make anything Microsoft does into something negative. Perhaps he is, but there is an unfortunate merit to the comment. M$FT has more than once reverted user settings or options after an update. I too wouldn't be surprised if users continue to get notified even if they check the box. At least they aren't shoving Windows 10 down everyone's throat... yet. If you are running Windows 7 on a potato, or use it for gaming on a low-end or mid-end machine, I don't recommend applying any updates past december 2017 anyways. Since then, many updates have been making Windows 7 performance progressively worse. It started with the Spectre hotfix, but didn't end with it. Anyone can see it for themselves, do a clean install of Windows 7 SP1 on a toaster PC, apply all updates until 12/2017, measure performance, then start applying later updates and observe as the machine gets increasingly more sluggish and unresponsive after each reboot from a new batch of updates, even for simple tasks. So, unless security is of critical importance, don't update. By the way, same applies to Windows Server 2008R2, Windows 8.1 and Windows Server 2012R2. Conspiracy theories say it's another sleazy move by Microsoft to press people into Windows 10 and give the false impression that Windows 10 is faster than it actually is. Since the past decades of being a Windows user, I deeply realize that the Microsoft shows its very lack of knowlodge of how to improve convenience and efficiency for everyday use and management for PC, they even remove the START menu in Win8. What the hell are they thinking? oh, mybe the answer is pretty simple, they just think they made a "new" "good" "modern" OS for both PC and mobile device, and then you should upgrade and PAY FOR IT, that is the point whatever you f*cking really need. stop waste our mind to telling the marketshare, why don't we never talk about what a modern PC should be like ? are we nuts ? Don't forget Windows Server 2012 TABLET EDITION! What a bloody joke. Those over at MSFN and MDGX have win 98 running at a almost windows 7 feature set. Mostly those in 3rd world countries at this point but likewise xp is patched to about win 7 functionality. It will be a cold day in hell before I put windows 10 on anything I own. I have win 7 patched to install on any USB 3.0 and M2 Drive so far have taken win 10 off 18 laptops between friends and family. win 10 is complete trash. I'll stay away from the window 10 tablet OS until DX12 becomes relevant in a game that I actually want to play. I use programs not apps. It's so bad they tried to give it away for free, then they forced it in pop ups\updates lol. I don't see the point to go through hoops to keep Windows 98 and Windows XP unless you're using something like a Pentium 3 with 1 GB of ram or less, or use lots of legacy software that don't work on newer versions. With disabling of proper services, registry optimizations and GPO optimizations, you can have Windows 7 SP1 or even Windows 8.1 running relatively well on a Pentium 4 or Athlon XP machine with 2 GB of ram - I have a HP laptop from 2006 with a 1.6 GHz Pentium Dual Core and 2 GB of ram running Windows 8.1 Pro x64 (with Classic Shell ofc), and it runs surprisingly well. Windows 10 runs better for me everywhere Iv'e tested it so far? Resistance will be futile. Hmm am I missing some sarcasm or what has made you hate linux if you don't mind me asking? Understood, honestly it is a pain to just get some drivers running on linux sometimes and the gaming issue has been a problem for years.. What I absolutely love about the system is just the ability to be able to do w/e you want inside the OS which windows fails to provide this. That plus I'll ship open source all day long. answer no the motherboard does not support some instructions on that motherboard. o.c I run latest x370 z390 mb. unbutu live dvd. it dont tutch the hd and youre up surfing and what so ever. ejeting dvd and youre booting to youre favorite OS mac win and so on.you must not missunderstand. im up running latest win 10 1809. have you not like to memo/mimerice a little. usein old pc and having fun with w95 98 se. ??? so if you want to help me running win 10 on that computer even you have to give up. Read it again. I state that our computer shop has customers still using Windows XP, with Sandboxie installed. Sandboxie, properly used, prevents dive by takeovers. You are responding to the wrong person. Teko03 is the one who replied to your comment. There's nothing tablet-friendly about Windows 10. 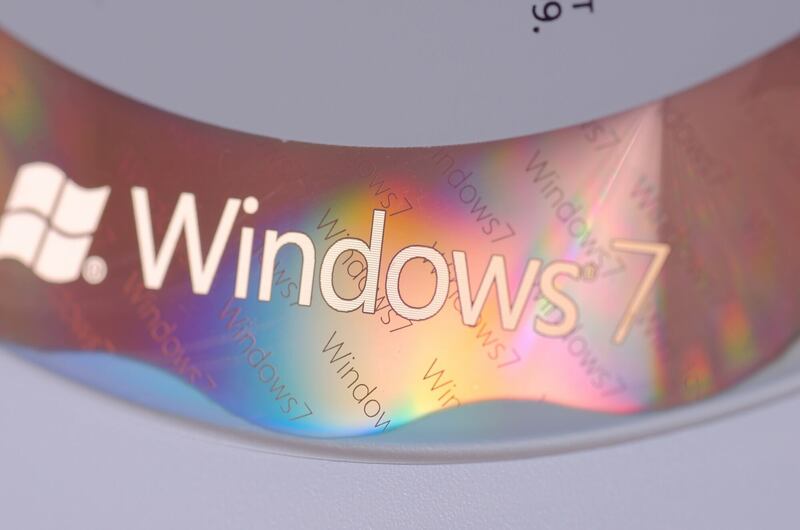 I like Win7. Had my computer stolen so bought new one with win8; terrible! so installed win7 and love it. Would never go to win10, don't want Mico$lop to have my personal data. As for updates never update but do use antivirus. Win10 = Dedicated SSD drive in removable Dataport – I have only one need for this: Android Studio64 requires it. Otherwise I prefer anything other than Win10. Sony Vegas 11.0 wont run there and all versions since “Magix” took over from “Sony” are useless for me and I find wont do the work I previously did without problem. This alone sends me to Win7 numerous times daily. There is no alternative! Win7 = Dedicated SSD drive installed internally two machines – With backup copy on shelf – updates disabled – My preferred work environment. I have two identical machines using the same copy of Win7 with one machine seldom connected to the internet. I use no virus protection because if I have a problem it is easily solved by removing and replacing the drive with a new copy from the non-internet machine. And please no Updates lets not fix what ain’t' broke. WinXP = Virtual Drive – I only use this to run Aldus Photo Styler – still remains My favorite generic paint program. Linux Mint = Virtual Drive – I test android stuff here. At various times I use all of these but I must admit I use Win7 probably 80% of the time out of necessity..
Don't they have a version of Alexa that can do it for you yet?